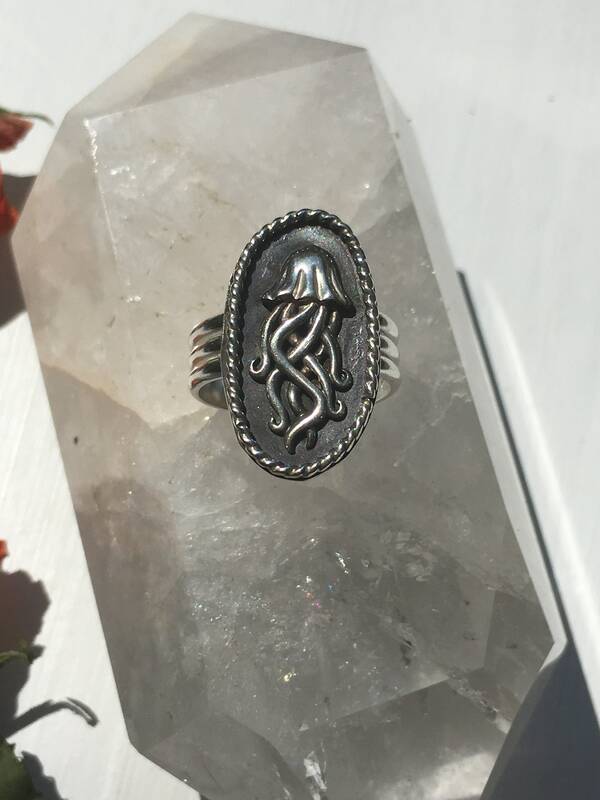 Silver cast jellyfish all sterling silver ring size 9. 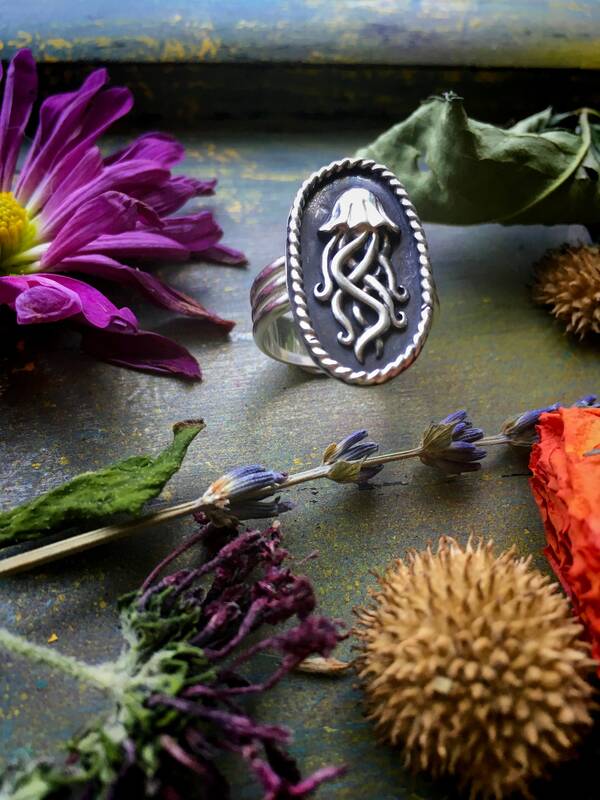 I crafted this ring with a twist sterling silver wire rope and a casted adorable little jellyfish as the center piece. 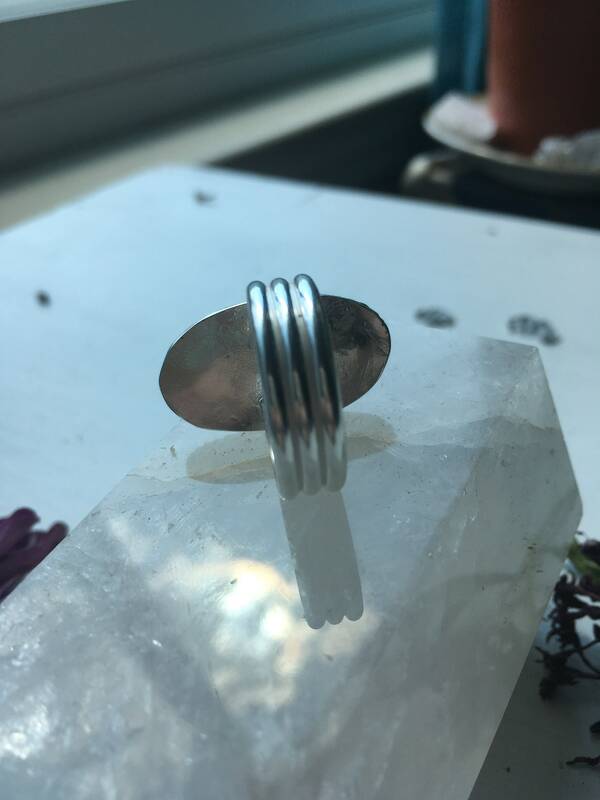 Featuring a triple detailed banded ring shank. 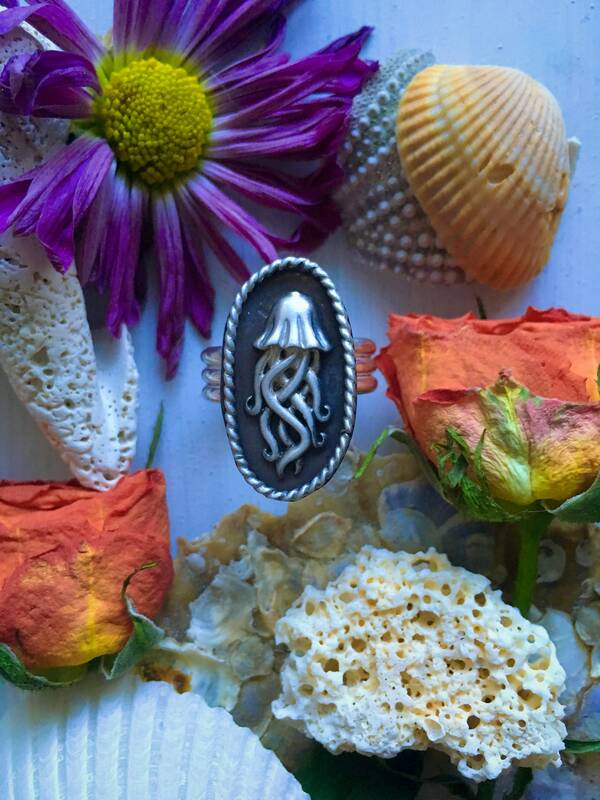 I used a 20 gauge sterling silver sheet for the back plate and hand painted it for an oxidized finish. Jellyfish are very simple organisms. 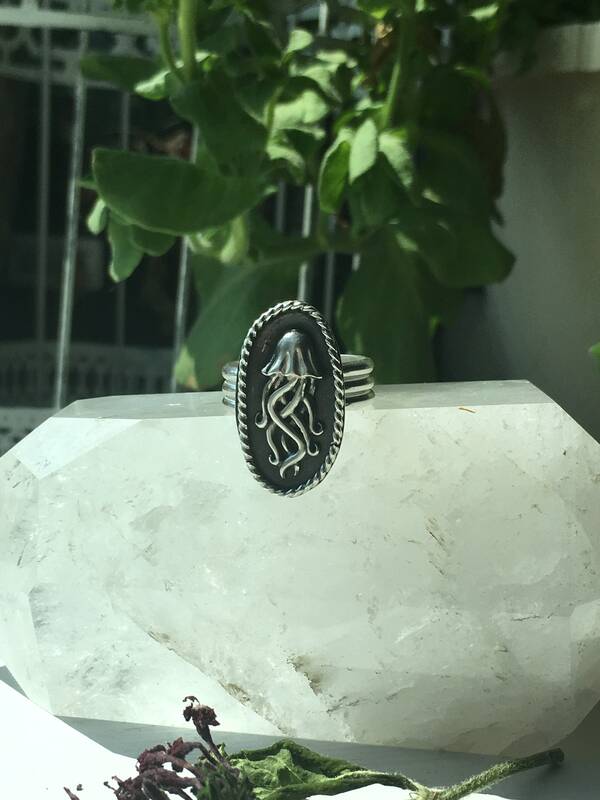 Appearing in your life, the jellyfish spirit animal might be calling you to simplify your life and let go of things and people which are of no use to yourself and your personal growth. Release anything that’s been slowing the process of your advancement into a better person.